Professor Patricia M. Worthy is the former Associate Dean for Academic Affairs and Interim Dean of the Law School. Professor Worthy has been teaching courses at the Howard University School of Law for more than thirty years. She joined the full-time faculty in 1992 and as a Professor of Law she teaches courses in Professional Responsibility, Administrative Law, Legal Methods and Telecommunications Law and Policy. Prior to her full time faculty appointment, she taught Professional Responsibility and Administrative Law for more than a decade as an adjunct professor at the Law School. She has served as Associate Dean for Academic Affairs at Howard University School of Law in both 2001 and 2003 and was appointed Interim Dean in 2002. She presently serves as Chairperson of the Faculty Judicial Clerkship Committee and is a member of the Admissions and Financial Aid Committee. She is also a Member of the federal judiciary’s Online System for Clerkship Application and Review (OSCAR) Working Group. In 2001 she served as the Chairperson of the Howard University School of Law ABA Self-Study Report. Professor Worthy received the Distinguished Faculty Author Award from the President and Provost of the University in April 2001. She is also the 2001 recipient of the prestigious Warren S. Rosmarin Award for Excellence in Teaching and Service. Professor Worthy has nearly fifteen years of regulatory experience at both the federal and state levels, working extensively in the areas of transportation, energy and telecommunications. In 1977, Secretary Patricia Roberts Harris appointed her Deputy Assistant Secretary for Regulatory Functions at the U.S. Department of Housing and Urban Development (HUD). She was responsible for such HUD regulatory programs as the Energy Conservation Standards and the Interstate Land Sales Registration Administration. She was appointed to serve as Commissioner of the District of Columbia Public Service Commission (Commission) in August 1980 and in June, 1984, was appointed Chairman. The Commission has ratemaking and other regulatory authority over the securities, electric, gas and telephone industries in the District of Columbia. During her eleven year tenure with the Commission, she also served as Chairman of the regional transportation regulatory agency, the Washington Metropolitan Area Transit Commission. In 1991, she was appointed Chief of Staff and Legal Counsel to Mayor Sharon Pratt Kelly. She also practiced law as an associate with former Dean Wiley Branton at the firm of Dolphin, Branton, Stafford, & Webber from 1973-1977. 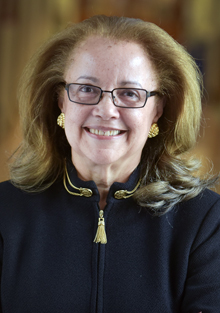 In 1992, she was appointed a member of the District of Columbia Judicial Nomination Commission and served as its Chairman from 1994 until 2006. During her tenure at the Commission, a combined thirty-seven judicial appointments were made to the D.C. Superior Court and the D.C. Court of Appeals. She also served as a member of the National Conference of Bar Examiner’s Multistate Professional Responsibility Committee from 1985-1988. Professor Worthy grew up in Brooklyn, New York, and received her Bachelor of Arts degree from Brooklyn College. She is a law graduate of Howard University and resides in Washington, D.C. She has received numerous awards and honors and has served on both local and national boards.